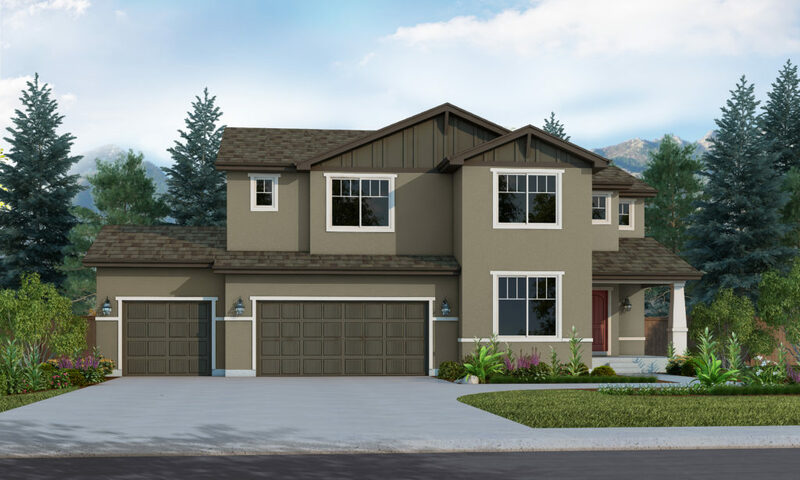 The Gatewood is one of our newest 2-story floor plans that we offer. 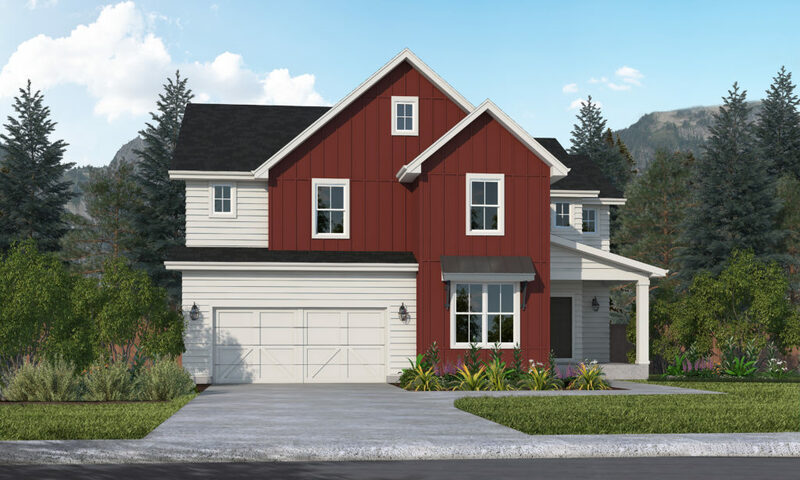 The Acrylic stucco exterior and front porch come standard along with the oversized 2-Car Tandem garage. The main level is very open featuring a large kitchen and eat-in nook. The kitchen opens to the spacious great room, which includes a gas fireplace creating a dramatic focal point when you add the designer option of extended stone to the ceiling. This home also features a main level study and powder bath. As you walk up the staircase which is open to below, you will find a loft that can be converted to a 4th bedroom to meet your family needs. 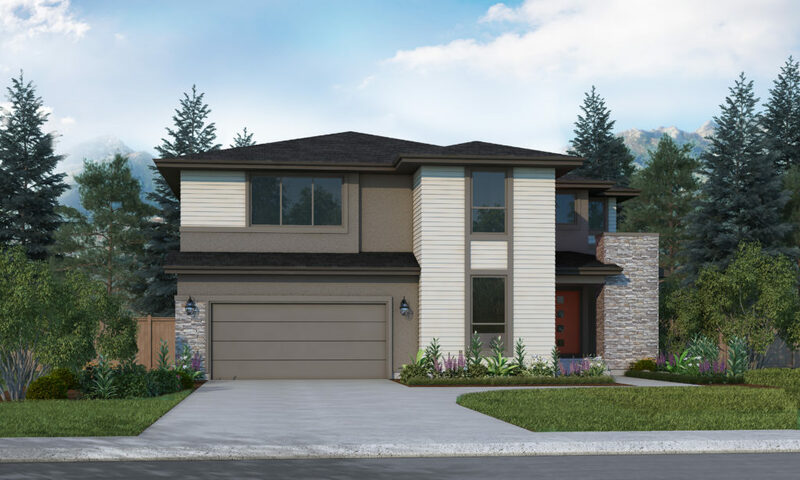 The upper level master suite features a 5-piece bath, large walk-in closet and an optional upper-level deck directly off the Master (subject to lot type). 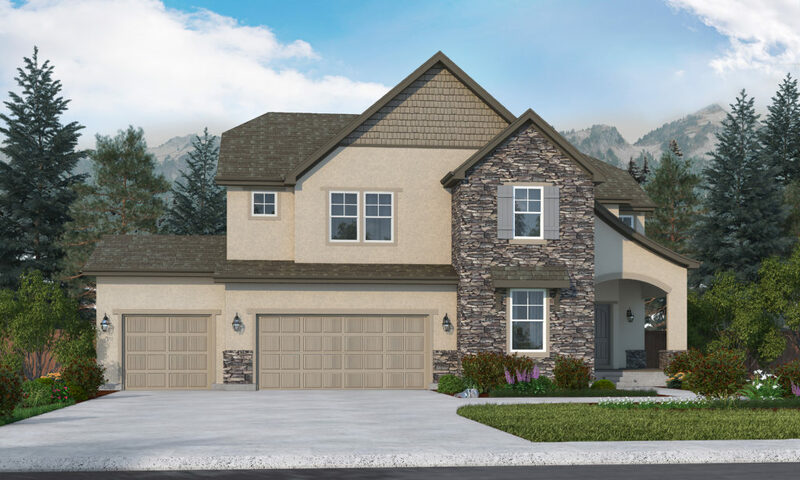 The upper level features 2 additional bedrooms and 2 additional bathrooms. This plan’s optional finished basement includes a bedroom, bathroom and recreation room with an ample amount of storage space.